How can I listen to past shows? Will The Bike Show review my cycling product? Will The Bike Show publicise my sponsored ride? How can I contact The Bike Show? Jack rides with singer-songwriter and cycle-tourist Jet McDonald (pictured, above), setting out from Bristol on a summer evening, riding along the banks of the River Avon, through the industrial landscape of Avonmouth to the banks of the River Severn and beyond. Along the way they talk about Jet’s ride from Bristol to India, a journey that inspired an album, Soft Soft Soft the Sparrow Sings. Klaus Bondam, Director of the Danish Cyclists Federation and former deputy mayor in charge of cycling in Copenhagen rides with ‘Buffalo’ Bill Chidley to the Hackney Cycling Conference. En route they try to find out how London’s roads compare with cycling cities like Copenhagen. Then Bill joins Kieron Yates and Jack Thurston to discuss what happened at the conference, and where things are with the Mayor of London’s much heralded cycling revolution. In what may well be the biggest electoral campaign ever mounted by a cycle campaign group in Britain, Space for Cycling makes a very clear series of demands on candidates for local councils. To talk about Space for Cyclingand about the changing landscape of cycle campaigning is Ashok Sinha, chief executive of the London Cycling Campaign. Take part in the Big Ride on Saturday 17 May. Full details including feeder rides led by local LCC borough groups. Use the LCC’s web-based tool to contact candidates in your area. Find out more about the Space for Cycling national campaign. New York Times reporter Juliet Macur has covered the Lance Armstrong doping story for almost a decade. Her bestselling new book Cycle of Lies: The Fall of Lance Armstrong, reveals how he won a record seven Tour de France victories and how the truth about his team’s doping finally came out. We discuss whether cycling is cleaning up its act and the risks of sports journalists becoming over-invested in the success of the stars they report on. 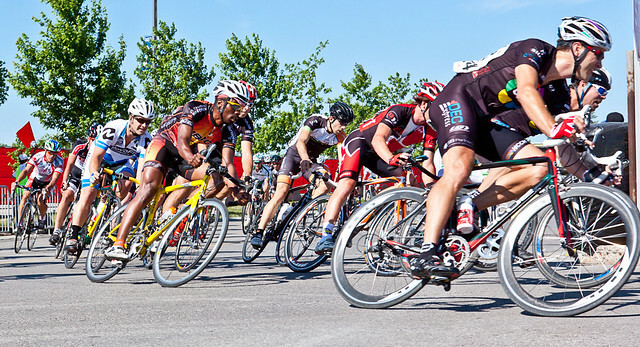 What makes a 40-year-old man take up bike racing? Jack Thurston talks with Bill Strickland, American cycling journalist, author of a clutch of cycling books including a memoir, Ten Points, which tells of how his quest to make a mark on his local amateur bike racing scene helped him come to terms with his own inner demons caused by the torture he suffered as a child at the hands of an abusive father. Bill also talks about the fallout from the disgrace of Lance Armstrong, the state of doping in today’s pro peloton and his #CapsNotHats campaign. Plus Jon Spencer tells of his journey to become a Super Randonneur. Hub gear manufacturer Sturmey Archer sits in the pantheon of iconic bicycle brands, most famous for its hugely popular three speed hub gears. Tony Hadland tells the intriguing story of the invention of the hub gear, a story of gifted young engineers, canny entrepreneurs in the high tech bicycle boom of the 1890s. Tony Hadland is the author of “Raleigh: Past and Presence of an Iconic Bicycle Brand” and “The Sturmey Archer Story”. The sporting rivalry between Chris Boardman and Graeme Obree is among the greatest in history, on a par with Ovett and Coe, Borg and McEnroe or Ali and Frazier. Twenty years on from their record-breaking exploits, Jack Thurston and Edward Pickering consider how their era marked a turning point in British cycle sport and how Chris Boardman’s scientific approach to training set the template for the top riders that followed him, from Chris Hoy to Bradley Wiggins, elevating Britain to the top of the Olympic medal table in cycling and Team Sky as the dominant force in road racing. Edward Pickering is the author of The Race Against Time: Obree, Boardman and the Quest to be the Fastest Man on Two Wheels.